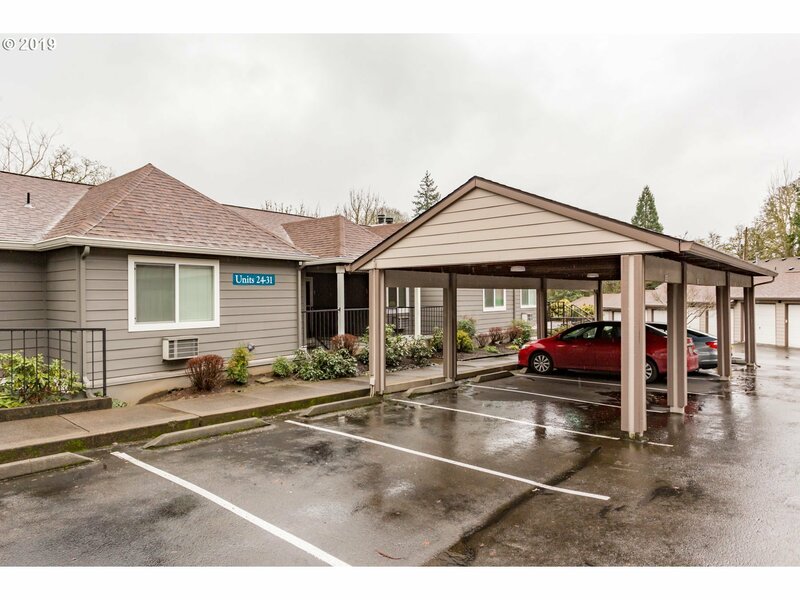 HOA includes: High Speed Internet, Cable TV, Clubhouse w/ kitchen, Pool Hot Tub, Gym, landscaping, exterior maintenance, Excellent and Responsive Management, Water, Sewer and Garbageonly 8 units in this building and no unit above. Deeded Carport #17 Life is Easy in this spacious, all one level condo! Top floor unit w/only 3 exterior steps. Lovely Master suite, walk-in closet in bed2, 2 full baths, Triple pane windows for serenity, Fireplace, deck, storage. Only 1 mile to Library, Market of choice, Starbucks, post office, shops, dining & 2 different parks at the River. EZ 205 access, few mi to 3 downtowns West Linn-Lake Oswego-Oregon City. High Speed Internet & Cable TV included in HOA!